At the end of 2015, CMA CGM withdrew the 6-passenger CMA CGM Matisse and CMA CGM Utrillo, its last two remaining passenger-carrying ships on the Australia/New Zealand run via Panama. At the same time, the 7-passenger MSC Monterey and sister ships were withdrawn from the Suez route. Ten years ago there were fifteen passenger-carrying container ships running between Europe and Australasia, but now there is but one and she is full. Without sailing directly from Europe, two basic alternatives remain for cargo ship passengers, and both involve a change of ship, in either the USA or in Asia. 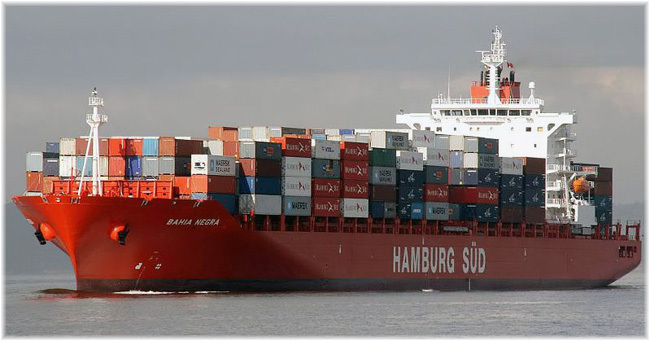 Hamburg-Süd offer frequent direct service from Philadelphia and Charleston to Australian and New Zealand ports, and also from Long Beach and Oakland. Passengers can connect between Europe and Philadelphia by Transatlantic container ship or on the 2,795-berth Queen Mary 2 between Southampton and New York. Five ships, the Spirit of Auckland, Spirit of Melbourne, Spirit of Shanghai, Spirit of Singapore and Spirit of Sydney, operate the cargo-passenger service from Philadelphia and Charleston to Auckland, Sydney, Melbourne, and on to Port Chalmers, Napier and Tauranga, while three more operate from the West Coast. These ships generally offer an Owners Cabin plus one more cabin, either a Single or a Double, depending on the ship. The quickest southbound transit is 25 days from Charleston to Auckland or 28 days Charleston to Sydney while the quickest northbound route is 26 days Auckland to Philadelphia or 36 days Melbourne to Philadelphia. The full 70-day round trip starts at €7,085 per person and one-way bookings are also taken. Going in the other direction, via Asia, CMA CGM offers service with ten-berth mega container ships over Port Kelang in Malaysia. From Le Havre to Port Kelang is 27 days, Felixstowe to Port Kelang is 31 days and Port Kelang to Southampton in the reverse direction is 22 days. At Port Kelang, it is possible to book a connecting container ship onward to Australia or New Zealand. In view of this new shortage of cargo ships, there are now also cruise ship options available, for example with P&O Cruises Australia over Singapore. In addition to the P&O Australia sailings, there will be a special sailing of the brand-new 4,200-berth Royal Caribbean ship Ovation of the Seas from Singapore to Sydney later this year. 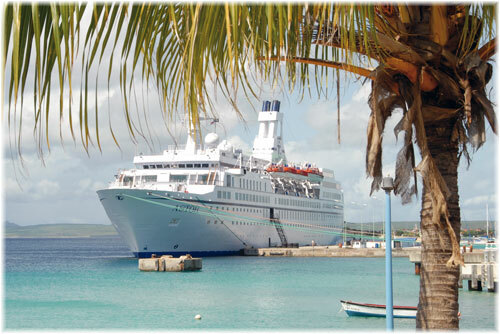 This exclusive Cruiseco charter is bookable through Cruiseco agents. m.v. Ovation of the Seas – from Singapore (November 30, 2016) to Fremantle (6 nights), Adelaide (11 nights), Hobart, and Melbourne via Hobart (13 nights) and Sydney (15 nights). While in the subject of cruise ships instead of cargo ships, there are now some further alternatives, for through passenger ship routings with Cruise & Maritime Voyages (CMV). Each October, their 590-berth Astor sets off from Tilbury to Sydney and/or Fremantle and each spring, usually in March, she sails back from Fremantle to Tilbury. In something new, however, for 2017, the Astor will be joined by the 1,250-berth Magellan, which will offer a new Tilbury to Sydney voyage in January and a return from Sydney to Tilbury in February. m.v. Astor (46 days) – Tilbury (October 16, 2016) to Sydney (December 9, 2016 via Panama. m.v. Astor (54 days) – Tilbury (October 16, 2016) to Fremantle (December 16, 2016). m.v. Magellan (49 days) – Tilbury (January 5, 2017) to Sydney (December 2, 2017) Panama. m.v. Astor (38 days) – Fremantle (March 16, 2016) to Tilbury (April 23, 2016) via Cape Town. Each January, two of Cunard Line’s Queens also set off from Southampton on their world cruises, offering passages back from Sydney in February or March. Equally, each January, at least two P&O ships set off from Southampton and offer one-way voyages back from Sydney in February or March. For several years now, Princess Cruises has been offering “out of season” world cruises. This year, their departure will be from Sydney in May and returning to Australia from Dover in July, with the 2,016-berth Sea Princess. 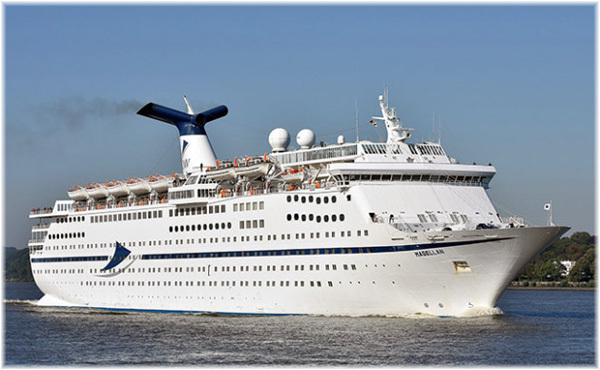 The major disadvantage of using cruise ship sailings, however, is that the direct cargo ships offered year round service. Now, one must tailor itineraries to seasonal cruise ship departures. There are thus southbound sailings from the UK in January, July and October, and northbound sailings from Sydney and Fremantle in February and March and from Sydney again in May. In a similar manner to the Australian trade, Ocean Three has led to a change of service in the CMA CGM’s Hong Kong trade. This has also come about through the introduction to the China trade of ultra large container ships of 11,000 to 16,000 TEU (twenty-foot equivalent) container capacity. Since CMA CGM’s French Asia Line 1 dropped Hong Kong calls in the autumn of 2015, no direct cargo-passenger has thus been available between European ports and Hong Kong. Substitute calls are now being offered in the nearby Shenzhen ports of Yantian and Chiwan, but passengers now need to Chinese visas, which were not required at Hong Kong. Southampton to Yantian by French Asia Line 1 is 38 days and Le Havre to Yantian 30 days, while a quicker alternative voyage is also offered from Malta to Yantian, in 24 days. Passengers returning from Hong Kong now embark in the Shenzhen ports of Yantian (20 miles from Hong Kong) or Chiwan (22 miles). Passengers can board in Yantian for a 24-day trip with French Asia Line 3 to Le Havre, calling at Port Kelang en route, while an alternative direct return to the UK is offered by French Asia Line 1, Yantian to Southampton in 26 days via Port Kelang and Algeciras. Hong Kong continues to have cargo-passenger connections to the Americas, however, both North and South, as well as South Africa and Australasia. A year ago, Grimaldi Lines, one of the world’s largest ro-ro operators with a fleet of more than a hundred ships, launched a direct service from Civitavecchia, near Rome, to Baltimore and Halifax, the first direct car carrier connection between the Mediterranean and North America. Last summer, it ordered five new car carriers, with an option for seven more, and three weeks later signed a contract for three more with an option for a fourth, for a total investment of $470 million. All eight of the firm orders will be deployed on Grimaldi’s new Mediterranean-North America service transporting Fiat-Chrysler vehicles in both directions. The new ships will carry 7,000 cars each on thirteen decks. More recently, this service has begun to accept passengers. To start with, Grimaldi is offering Civitavecchia – Baltimore, with calls from time to time at some other ports as well, for example Jacksonville, New York, Newport News and Halifax. But for the moment Grimaldi is offering only the outward voyage only from Civitavecchia to Baltimore. 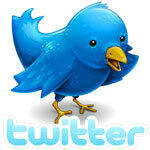 The ships carry up to twelve passengers each, the maximum allowed on a cargo ship. A Baltimore and Halifax to Antwerp service will soon also be introduced for foot passengers and it may be possible later to book accompanying vehicles as well. For the moment, bookings are only being accepted for departures within 30 days. Passengers need to have a valid passport and travel and cancellation insurance covering the USA and Canada, and all non-US and Canadian citizens need a full B1/B2 Visa. This latter is because cargo ships are not included in the visa waiver scheme. The present service is being offered by the Grande Benin, Grande Guinea, Grande Marocco, Grande Sierra Leone, with Owners cabin and 5 Inside cabins, and Grande Napoli and Grande Roma, with three Outside cabins (maximum 4 per cabin). This is not the first time that Grimaldi Lines, which was once known for its cruise ships, has operated North Atlantic services. Fifty years ago the line operated ships such as the 1,115-berth Ascania and 1,180-berth Irpinia between Mediterranean ports and the St Lawrence River by summer and the Caribbean by winter.